You only need a quick scroll through Pinterest to see that Kate Moss's '90s style is still idolised, and in a recent interview with The Guardian, the model revealed how she managed it on a tight budget. "I love a charity shop," Moss told David Bailey. "Because you know what, all these vintage shops, they just go and trawl all the charity shops. Then put them in their shops for £500 because they know what a Balmain shirt looks like." "From the age of 14 to 18 or 19, I got all my clothes from Oxfam," Moss added. "And then I started making myself go vintage so I didn't have to trawl. You couldn't buy '70s clothes in shops in the early '90s, it was all late-'80s clothes. I wanted to dress like a hippy—those ribbed jumpers, that was the only place to get them." And yes, she does now donate to charity shops, sending the "archive" pieces from her own wardrobe to the Oxfam and Sue Ryder in Highgate. So our primary charity shopping tip is to go to these first, but keep scrolling for the golden rules for finding the best pieces in charity shops. People often look at the labels to price the pieces, but don't be fooled. It's more important to check the quality of the fabrics, cut, and state of the garment, rather than the designer tag. This isn't the place to try to find instantly recognisable high-end designer items, as the majority of stock will be by high street or lesser-known labels. Always check carefully check the fabric of the garments. You can get a real bargain on cashmere, wool, and 100% cotton, so it's worth reading the label. Right now, charity shops are amazing for '80s blazers (hello, shoulder pads), tweed jackets, jumpers, novelty handbags, croc accessories and jazzy scarf prints. You don't want to spend £25 on something just because it says "Valentino" inside when you'd never buy it if you saw it in H&M. Charity shops can encourage impulse purchases, so always ensure you actually like it and that it will fit into your wardrobe. Think of charity shopping like a never-ending hunt. In her Guardian interview, Kate Moss said whenever she passed a charity shop, she would go in it just in case. The item you want usually isn't what they merchandise on the mannequins, so you need to trawl through all of the rails. It pays to think strategically about where you go charity shopping. In London, stick to wealthy areas like Highgate, Kensington, Chelsea, Chiswick and Marylebone. I know someone who once found a Dior dress hiding in a charity shop near to Belgravia. Have an open mind when it comes to sizing and fit, as you can have dresses, jackets and trousers tailored so they fit perfectly. 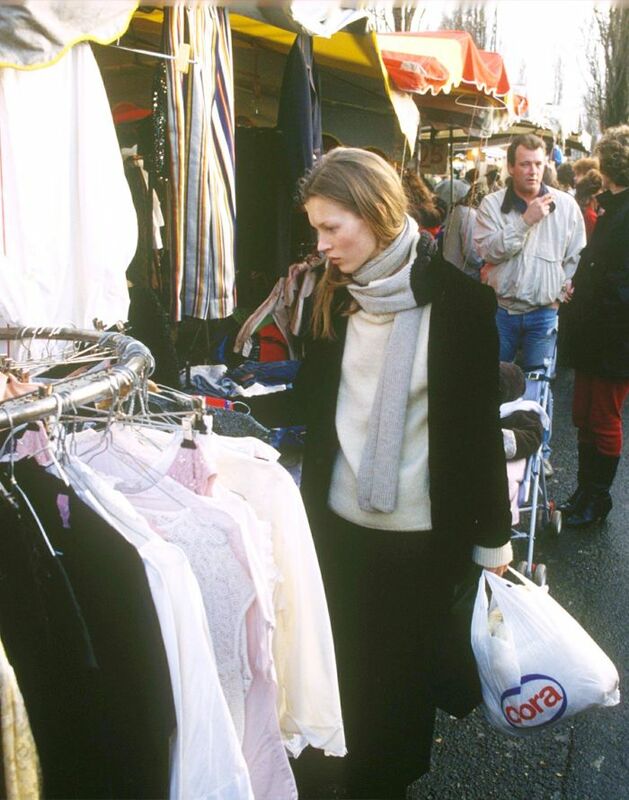 If you don't want to rummage too much, go to charity shops that have curated vintage sections and edited rails, such as Mary's Living and Giving shops. Race you to the Highgate Sue Ryder?